Cape Town is one of the most beautiful and exciting cities in the world, home to world-renowned landmarks, celebrated attractions, countless natural gems and without a doubt the most sensational coastlines, how can you not want to discover and explore every inch of it? Our Cape Peninsula Full Day Tour allows you to do just that & so much more! 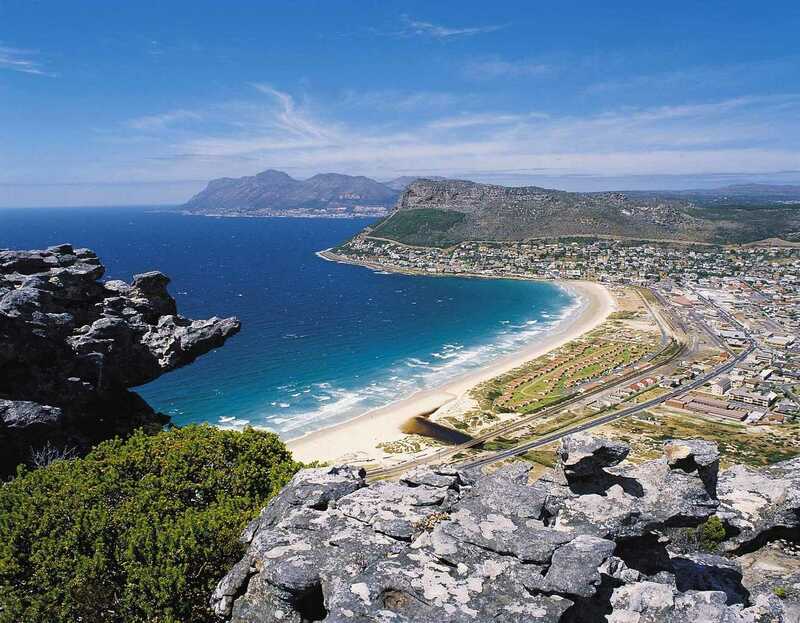 The Cape Peninsula Full Day Tour invites you to explore all the beauty and wonder the magnificent Mother City has to offer, from Table Mountain and the Twelve Apostles to Cape Town’s pristine beaches, Cape Point and Kirstenbosch Botanical Gardens, this exciting tour has something for everyone! Come along as we take you on a jam-packed journey along the coastline of the Cape Peninsula, it promises to be one you won’t soon forget, because people just can’t get enough of that Cape Peninsula magic, and you’re about to find out exactly why! 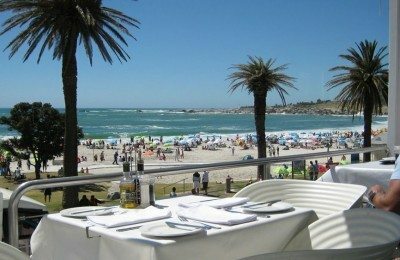 Cape Town certainly has no shortage of spectacular beaches and magnificent coastlines, but a visit to two of the Mother City’s most iconic and celebrated beaches is without a doubt a must for anyone visiting Cape Town. 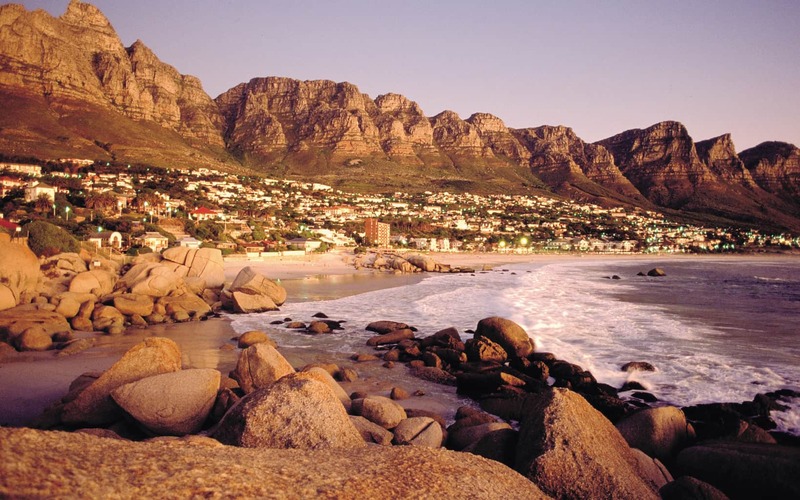 Primely positioned along the Atlantic Seaboard, the beautiful beaches of Clifton and Camps Bay boast crystal clear blue water, stretches of white sand and the most spectacular view of the Twelve Apostles Mountain Range and the Atlantic Ocean. Known as the Miami and St Tropez of Cape Town, Camps Bay and Clifton Beach have earned themselves a prime spot on countless postcards, travel magazines and Instagram feeds, and will forever be celebrated for its bold unapologetic beauty by both locals and tourists alike! Therefore making it one of our fan-favourite stops on this tour of the Cape Peninsula. Hout Bay is by far one of Cape Town’s most charming and charismatic fishing villages, but don’t be fooled by the quiet nature of this spectacular sea-side town, it’s filled with immense beauty, wonder and adventure and promises a truly unforgettable experience. Affectionately referred to as the ‘Republic of Hout Bay’ by Cape Town locals, a trip to Hout Bay will feel like you’ve escaped to a whole new world entirely without really leaving the city at all. Set in a fold of sea-lapped mountains overlooking the ocean and the renowned Chapmans Peak, Hout Bay boasts a stunning beach, spectacular views, sensational seafood and a vibrant restaurant and market scene that’s sure to keep you coming back for more again and again! Bust besides an exciting visit to fishing village of Hout Bay, the Cape Peninsula Tour also includes an optional boat trip to the iconic Duiker’s Island, also known as Seal Island. Home to thousands of Cape Fur Seals, a boat trip to Seal Island really is quite a treat for every member of the family. Known as Cape Town’s most playful mammals, these magnificent ocean beings can often be spotted diving through the waves or sunbathing away on the rocks on a sunny Cape Town day. Besides Seals, this thrilling boat trip also allows you to spot several other members if the Marine Big 5, including whales, dolphins and African Penguins, so keep your eyes open. Our exciting tour of the Cape Peninsula also includes a visit to the very tip and one of Cape Town’s most magnificent natural wonders, Cape Point. Located within the world-renowned Table Mountain National Park, a declared Natural World Heritage site, Cape Point is any nature lovers dream come true and without a doubt one of Mother Nature’s most striking creations. It also includes the magnificent Table Mountain chain which stretches from Signal Hill to Cape Point, and the stunning coastlines of the Cape Peninsula. You therefore get to witness some of South Africa’s most beautiful landmarks all at once! And that’s not all! The glorious Cape Point spans across a variety of landscapes, from rugged peaks and plunging cliffs to an abundance of lush natural fynbos and a 360 panoramic view of endless scenic beauty, it really is one spectacular sight. 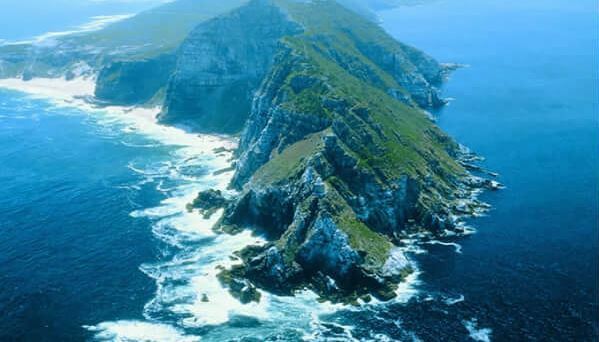 Cape Point is also positioned between the Atlantic Ocean on the one side and the Indian Ocean on the other, therefore adding a truly once in a lifetime experience for anyone who pays it a visit. It’s therefore safe to say that no trip to Cape Town would be complete without a visit the captivating natural gem that is Cape Point. And remember to bring your camera along, you’re going to want to capture these moments! Located along the beautiful and vibrant False Bay shoreline, Simon’s Town is home to a treasure chest of gems that are just waiting to be discovered by you. And now with our Cape Peninsula tour you can do just that! 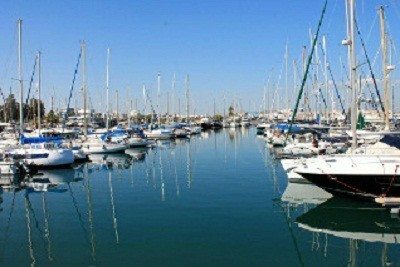 Simon’s Town is a charming coastal town known for its rich history, welcoming nature and vibrant atmosphere. 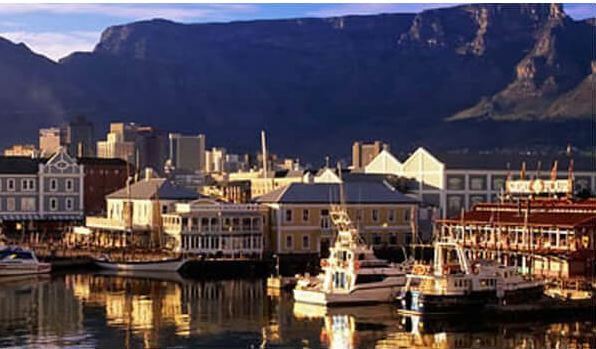 Home to the South African Navy’s largest naval base, a thriving harbour, the famous statue of the Navy dog Just Nuisance, the vibrant Jubilee Square, a toy museum, navy museum and some of Cape Town’s most beautiful beaches and charismatic bays, just to mention a few, Simon’s Town truly has something for everyone to enjoy. Besides all of that, Simon’s Town is also where you can find the ever-charming, wildly popular and widely celebrated Boulders Beach. Home to a thriving colony of African Penguins it’s no surprise that Boulders Beach holds a very special place in every person’s heart who has ever paid it a visit. 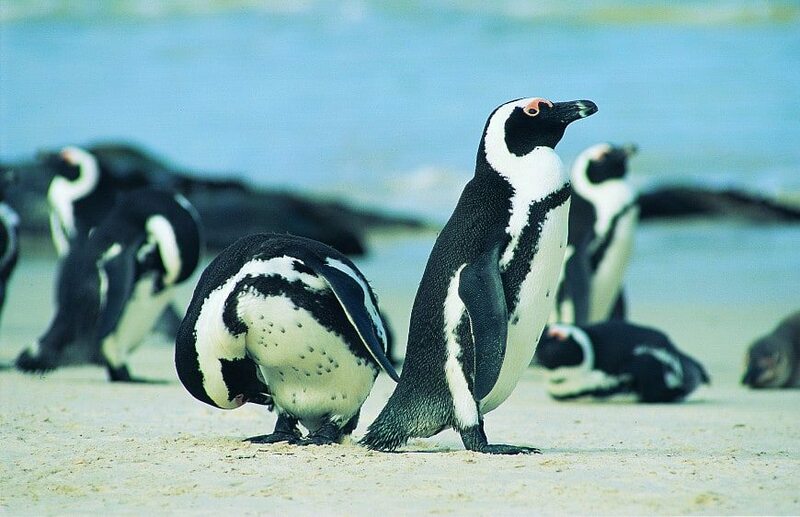 Boulders Beach is therefore where you will find an incredible African Penguin viewing site and beach which is one of the only places in the world where you can swim alongside these beautiful ocean mammals, how incredible is that? A trip to Simon’s Town and Boulders Beach is therefore an absolute must for anyone visiting the Mother City. Another gem of the False Bay coastline, Kalk Bay is way more than meets the eye. Recently dubbed one of the coolest neighbourhoods in the world, the sea-side town of Kalk Bay has a certain magical charm that’s hard to deny. Positioned between the vibrant False Bay coastline on the one side and rugged mountainous terrain on the other, it’s no surprise that people travel from far and wide to catch a glimpse of this Cape Town suburb in all its glory. Kalk Bay also boasts some of Cape Town’s best hidden gems, lined with a host of veritable treasure troves from antique shops, quaint cafes, boutique gems, renowned bakeries, trendy hangout spots and some of the very best seafood and fish and chips in Cape Town. Due to its prime location Kalk Bay is widely known as one of the best places to spot Southern Right Whales during whale season (June to November). Kirstenbosch Botanical Gardens, also known as the Cape’s floral kingdom is another one of Cape Town’s magnificent natural wonders and one more incredible stop on this jam-packed tour of the Cape Peninsula. Acclaimed as one of the great botanic gardens of the world, it has won the highly esteemed ‘International Garden of the Year’ award, and truth be told very few gardens can match the sheer grandeur of the setting of Kirstenbosch. And now you get to see and experience it in full force! 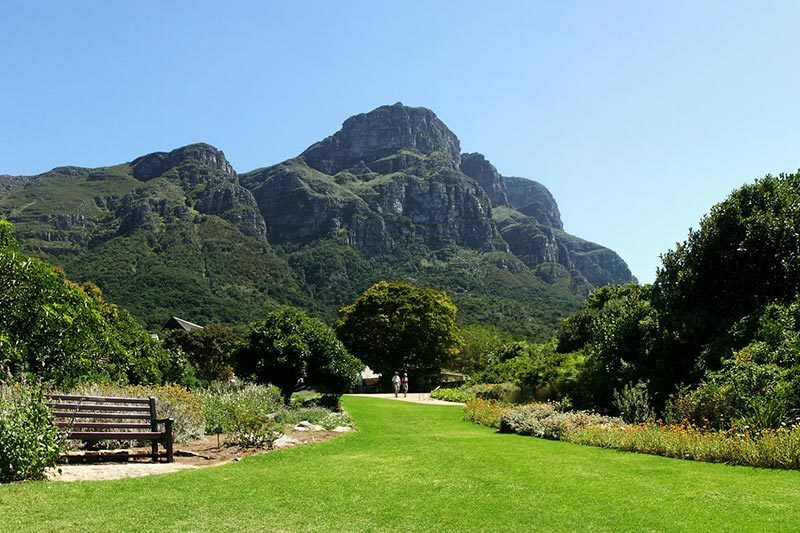 Located in the shadow of the iconic Table Mountain and foot of the Devil’s Peak Mountain, Kirstenbosch Botanical Gardens offers its visitors a natural haven of peace and serenity. Kirstenbosch takes it upon itself to showcase indigenous natural beauty in the most spectacular way, it also features a bird list that boasts 125 species, a variety of incredible hiking trails and walking routes, waterfalls and a widely popular tree top canopy walk. Exploring Kirstenbosch Botanical Gardens really is every bit as exciting as it is beautiful, and it really is worth every second spent exploring.